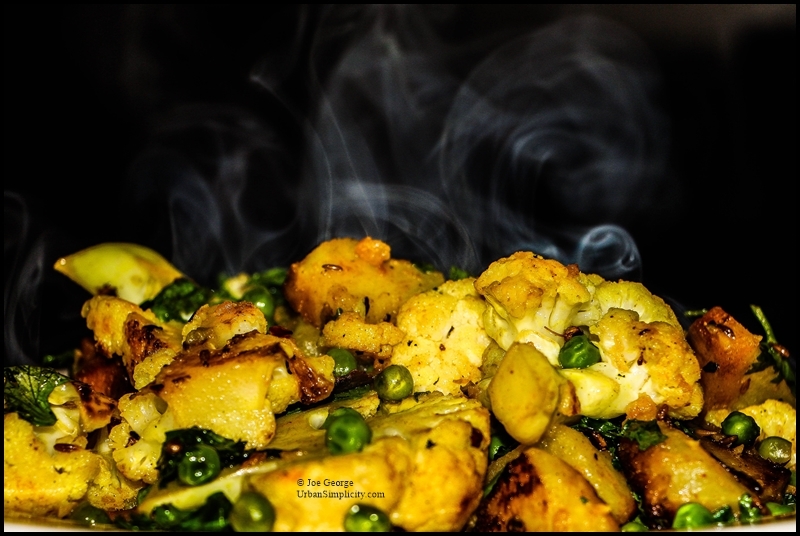 Aloo gobi...the classic Indian dish consisting of mostly potatoes (aloo) and cauliflower (gobi). Peas are often included. 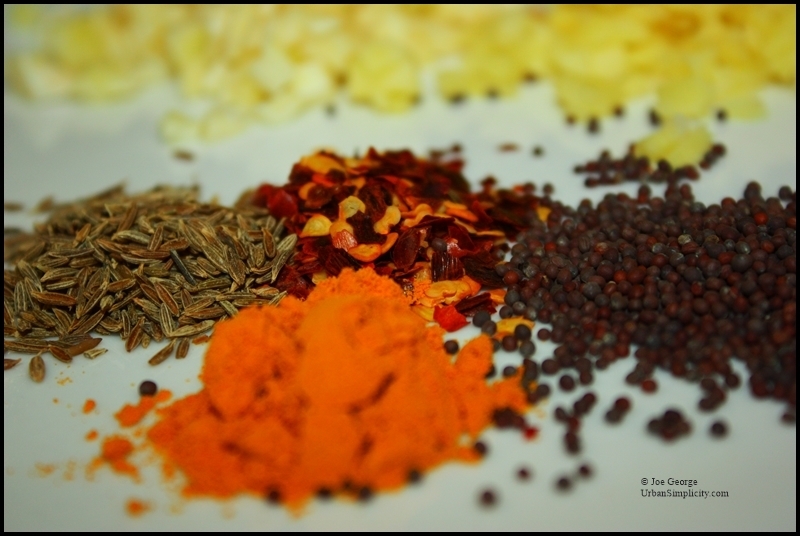 Spices vary and can be interchanged to your liking. 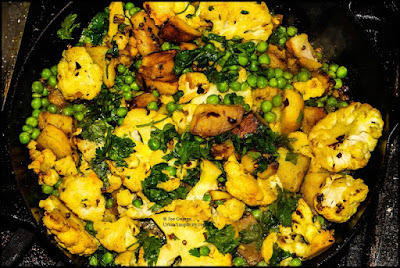 In the version I made for dinner last night (pictured) I also added whole coriander seed. I used dry chilies but fresh can be used as well. Interchange ingredients and seasonings. Eat this as a side or main course with basmati rice. It's simple to make, super delicious, and healthy. Make it and you won't be sorry. Heat the oil over medium-high heat in a large skillet and add the onion and potato. Cook these for a couple minutes, until they just begin to change color. Add the garlic and ginger and cook another minute. Stir in the black mustard seeds, salt, turmeric, cumin seed, and crushed hot pepper; cook for a minute to release it's flavor and aroma, then stir in the cauliflower, coating it with oil and spices. Add the water, then cover the skillet and cook the potatoes and cauliflower for a couple minutes. Stir in the peas and lemon juice; cook for a minute or two. Remove the pan from the heat and stir in the cilantro.